Terf® becomes easy to use within the first 15 mins for new users. You can use prebuilt rooms and get working right away. Need more advanced features, like meeting tools, user polls, you will find them all here. Over 80% of our users are non-techies, non-gamers. It is drag, drop, point, click and touch for everything. Share live or streaming audio and video. Put it on the wall for all to see and move it with you as you work with others, see documents, work on shared designs. Private (person to person) & multi-point (everyone in a room). Share any application with others in-world, even those running only on your desktop. Presentation sharing, plus mouse and keyboard sharing, even sharing control of your desktop application with other. Work live, share the mouse and keyboard controls, with others on a document or in a whiteboard, for example on PowerPoint, Word, and Excel. Use the built-in web browser inside Immersive Terf® to browse the internet using shared mouse and keyboard. Contextually accurate or just plain beautiful settings within which to work can bring deeper, active learning, “in-situation experiences,” cozy or highly functional settings that drive increased sharing, creativity, delivery, and team building. Collaboration meets 3D to deliver low cost, high impact real value from those together and those in the field. Virtual real estate is infinitely expandable. We can help you create what you need to display your project, team work, ideas, phases…Your teams can pin up their napkin sketch next to their draft design, next to their team brainstorm, next to their detailed designs, ….Agile teams can have their swim lanes, innovation efforts can have their break outs, training efforts can create walk the wall training that can bump stadium seating and breakout rooms. And all this can be in a contextually accurate setting such as a pharmacy or a computer room or a tree house perhaps. New ways to work together that removes the distance in meetings, teaming, brainstorming, training, analysis, big data room. Often nothing is more effective than applied game tactics. The most mundane of topics can become more remember-able and fun with the right amount of game dynamic applied. Our Python API and our out of the box features and services make the creation of the right game dynamic really deliver. Content can be extremely expensive to create when your need to impress or train. 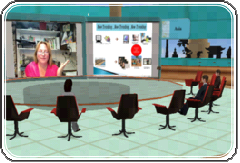 3D ICC and Terf® give you a cost effective creative way to create and share content and videos. It will save you a lot of money and your users will like it more. Meet, train in, “walk thru” areas that make sense. Location reflection in weeks, not years. Offices, training centers are branded to reflect your logos and layouts, your customers’ locations. Terf® works with scanned in locations and data as well as create from scratch. Adding reflective locations to work or learning together creates both enhanced engagement and the experience of being together. Content can be extremely expensive to create when your need to impress or train. 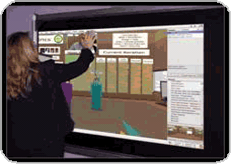 3D ICC and Terf® deliver a cost effective creative way to create and share content and videos. It will save money and can deliver experience descriptions such as process re-engineering before it is possible to film in real life. Meet, train in, “walk thru” areas that make sense. This all adds up to the experience of being together. Terf® has 100s of purpose built settings, and location reflection in weeks, not years including offices, team rooms, and training centers. All are easy to brand to reflect your logos, your layouts, your locations. Nothing is more effective than applied game tactics. The most mundane of topics can become more remember-able and fun with the right amount of game dynamic applied. New or changed processes can be experienced before they are deployed and equipment can be explained in ways impossible before. Our Python API features and services enable the creation of the right game dynamic and can take in live data from sensors and external systems. Try that with a game platform! 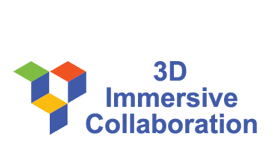 At 3D ICC we are committed to delivering the package our customers require. 3D ICC gifts a substantial discount to educational organizations to help children and university/college students worldwide. Minimum Licensing Pkg: 6 months, 1 Private Org on Shared Hosted Terf® Server for 15 users. Over 35 users, servers are required at extra licensing prices. For detail on license and professional services packages and pricing, contact us. We look forward to helping your organization with its goals!